"Matt Wallace has enjoyed a fabulous year and I wouldn’t be in the least bit surprised to see him round 2018 off with his fourth European Tour title of the year. It’s hard to take [14.0] about someone I’ve been regularly backing at four times that price but it’s justified given he’s finished fifth at the Nedbank and second at the DP World Tour Championship in his last two starts." Dating all the way back to 1893, the South African Open is the second oldest National Open in the world, with only the Open Championship, which dates back to 1860, being older. It used to be a very prestigious event with lots of star names in attendance at every renewal but those days are long gone now and this grand old tournament has now been merged with the Joburg Open. First staged in 2007, the Joburg Open was originally staged at the Royal Johannesburg & Kensington Golf Club but it switched to Randpark for its final renewal in December 2017. This year's South African Open is staged at the same time of year and at the same venue. After the merger, this is the second edition of the South African Open to be played in 2018. Chris Paisley won the first at Glendower back in January. After five renewals in-a-row at Glendower, the South African Open switches to Randpark, where the event will be staged over two different courses - just like the last edition of the Joburg in December 2017. A huge field of 240 will play the Firethorn and the Bushwillow over the first two days, with both weekend rounds (post cut) played out at the harder Firethorn and just like last week's Mauritius Open, the South African Open is now a tri-sanctioned tournament between the European, Asian and Sunshine Tours. Bushwillow is described on the venue's website as a very picturesque, immaculately-conditioned, tree-lined course. It is shorter than neighbouring Firethorn but because of the abundance of trees lining the fairways there are some tight holes as well as some extremely challenging ones. There is a wide variety of holes and no two holes are remotely alike. Firethorn, when still called Randpark, hosted the 1995 and 2000 South Africa Opens, won by Retief Goosen (-13) and Mathias Gronburg (-14) respectively and the SAA Pro-Am Invitational on the Sunshine Tour in 2009 and 2010, when on both occasions the winning total was eight-under-par through 54 holes. The winners were Ryan Tipping and Tyrone Ferreira. The course underwent extensive changes prior to the Joburg Open last year but it didn't appear to make the venue any tougher - Shubhankar Sharma won the Joburg with a total of 23-under-par! The website describes the final three holes as "extremely demanding" and the 16th and 19th were the second and third toughest at the Joburg but the par three 17th actually averaged below par at 2.94. Water is in play on seven holes. For more on the Firethorn Course, please see the hole-by-hole videos below. Live on Sky Sports all four days, starting at 10:00 am UK and Ireland time on Thursday. What Will it Take to Win the South Africa Open? 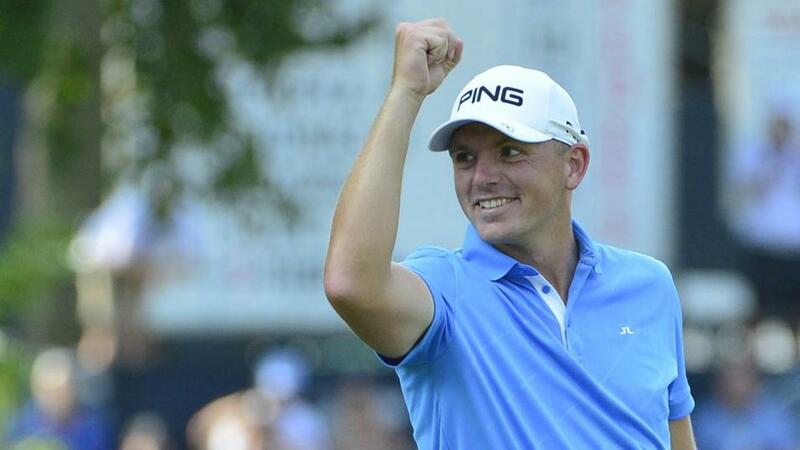 The only place to start is at last year's Joburg Open so here's the top-five and their stats. Both courses were saturated at the Joburg so they may play a bit differently this week but it looks like distance is going to be more important than accuracy off the tee and although the runner-up, Erik Van Rooyen, hit more greens than anyone else 12 months ago, Greens In Regulation wasn't a key stat but Scrambling definitely was. It's also noteworthy that Shaun Norris, who finished tied for third, topped the Putting Average stats and the winner ranked third. This is a tournament that has changed quite significantly in recent years. It used to be a highly valued prize for the home contingent and between 2002 and 2011, ten of the 11 winners were experienced South Africans. Trevor Immelman, Tim Clark and Retief Goosen have all won the tournament twice recently and Ernie Els, who is now the tournament host and ambassador, has taken the title five times in total but five of the last six winners have been from overseas and the tournament doesn't have the gravitas it once did. It's a far more open affair than it once was and finding the winner has been tough of late. The days of sifting through the half a dozen or so top South Africans to find the winner appear to have gone and it's not a tournament to invest in heavily before the off. And especially now that a two course set-up is in operation and we're faced with a field of 240 players to ponder! As you can see by the hole averages above, the Firethorn is a few shorts harder than the Bushwillow. The top-seven after round one at the Joburg had all played the Bushwillow and the eventual winner, Sharma, was five off the lead having kicked off the event at the Firethorn. He shot up the leaderboard in round two to sit second at halfway with a 61 around the Bushwillow. It's not an exact science and it's hard to know whether a good score on day one around the Bushwillow, allowing for three straight rounds around the Firethorn, is favourable to a decent start around the Firethorn. The fairly well-fancied, Dean Burmester, sat tied eighth and just two off the lead after a very respectable 66 around the Firethorn on day one at the Joburg in December 2016 and he was matched for around £10k at [7.0] and below but he bogeyed three of his first five holes around the Bushwillow and was soon out of contention. The players aren't daft, and Burmester would have been well aware that his opening 66 around the tougher course meant he was in a great position to push forward in round two but this, like the final edition of the Joburg, isn't a strong field and the chances of someone doing a Burmester are quite high. Knowing you're in a strong position is one thing, making the most of it is quite another and caution is definitely advised. Louis Oosthuizen heads the market but he's not for me. He withdrew from the final edition of the Joburg after he jammed his fingers in between two airport trollies while on his way to Johannesburg, so he's making his course debut this week. That said, the venue should hold no concerns. Louis is a terrific scrambler so that's in his favour but he's just not the easiest to get across the line. He was in contention at the Nedbank last time out but after being matched at just [1.38] in play he fell away at the end. Louis' last victory came at the Perth International almost three years ago and that's his sole success in almost five years. He's not prolific and not a player I want to back at a single-figure price. Matt Wallace has enjoyed a fabulous year and I wouldn't be in the least bit surprised to see him round 2018 off with his fourth European Tour title of the year. It's hard to take [14.0] about someone I've been regularly backing at four times that price but it's justified given he's finished fifth at the Nedbank and second at the DP World Tour Championship in his last two starts. I know this is a huge field but if Wallace repeats either of those two performances, he'll be very hard to beat. He ranked fifth for Scrambling in Dubai and first for putting. Wallace was 30th in the final edition of the Nedbank. Branden Grace has won three of his last 11 starts in his homeland but he hasn't been at his best this year and although Dylan Frittelli spoke of how well he liked the venue before the last edition of the Joburg, he only finished 42nd. Frittelli put up a decent defence in Mauritius last week though, finishing fifth, and he was a very respectable seventh at the DP World Championship in his penultimate start so I can see why he's been backed early. Tapio Pulkkanen took to the venue last year, finishing tied for third, and he enjoyed a successful first season on the European Tour, finishing 78th on the Race to Dubai. I thought he was worth chancing at juicy price and 25-year-old Challenge Tour graduate, Grant Forrest, was on my radar last week because of his solid scrambling skills. He fared well enough to finish seventh after a slow start and he looked over-priced here at [160.0]. I'll be back shortly with my QBE Shootout preview. The Punter's In-Play Blog: Is Rickie ready for a repeat?